If you would like to leave a recommendation, please complete the form at the bottom and we will publish it here. Parent Recommendation: “Simon has taught both my boys and has shown nothing but dedication and kindness to them both. He is hardworking and trustworthy and has given me lots of good advice for my eldest who wants to take his football coach exams in the future. Thanks! ” JM. Fitness Class Recommendation: “The keep fit class has been brilliant & a revelation ! I have learned that there are things I can do that I wouldn’t have believed including loosing 2 stone” NH. Parent Recommendation: “2 very pleased and happy children home from their last Fit4Kids for this summer – thankyou to the whole team and special thanks from Mattias & Lovisa to Filippo and Matt for their ‘epic’ sessions at Newburgh!” AH. Parent and Fitness Recommendation: “My daughter has been going to School Holiday Camp for since KS1 (now Year 5) and she loves it. Simon and his team of Coaches have a great knack wearing children out doing fun things. We have to plan our family holidays carefully these days !! Simon has always been a great part of Westgate Primary School and my daughter has always enjoyed his PE Lessons. His Keep Fit Class on a Thursday has been great fun and has enabled my sister and I to loose over 2 stone in weight each ! We may be exhausted and red faced when we leave but we are smiling now.” SR.
Parent Recommendation: “Simon from FITT4kids really ‘gets’ kids. I’ve used both the holiday club and birthday parties. My son always wants to go to his holiday club, enjoys the challenges and I know he is safe at all times. The children are taught balls skills but on top of this, team work, social skills and communication skills in a fun setting. Simon sets his goals for each child individually enabling good development, this isn’t just any old club, it’s a place to achieve at a pace suitable for your child. It’s great to know at the end of a day that my son has had all of his needs cared for; social, emotional and personal. The birthday parties are just great, you don’t need to imagine being a kid again, if you’re lucky you get to join in…..any excuse for a laugh! Energetic, fun and so so easy! Lovely medals for all the participants! Simon is very passionate about his job he takes his responsibility very seriously, it’s great to know every holiday I can rely on his services!” TW. Parent Recommendation: “Elizabeth and George had great fun today. Thanks Phil and Matt and Simon.” SS. Parent Recommendation: “My two very lively boys aged four and five, attended sports camp today in Warwick. They had an absolute ball! Thanks to all the team, I would highly recommend “Fitt 4 kids” to any parent wanting a secure, fun environment for your little ones to burn off energy. Thanks again.” KF. Parent Recommendation: “Angel has been attending fitt4kids for many years now..i work full time and during holidays to find a safe educational enviroment is few and far between….Angel is quite reserved but simon has managed in his game roles to bring angel out of her self…she enjoys the daily activities especially in summer when they have water day….i can highly recommend fitt4kids.. simons amazing with all the kids..i can go to work and now shes in safe hands. ” SC. 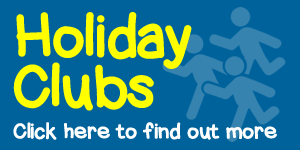 Parent Recommendation: “Highly recommend Fitt 4 Kids, my children loved the holiday camp. Lovely caring staff and the themed days mean there is something different for them to look forward to each day.” RL. Which of our services are you recommending? FITT 4 KIDS © 2019. All Rights Reserved.